The structure indicated is the foramen lacerum. 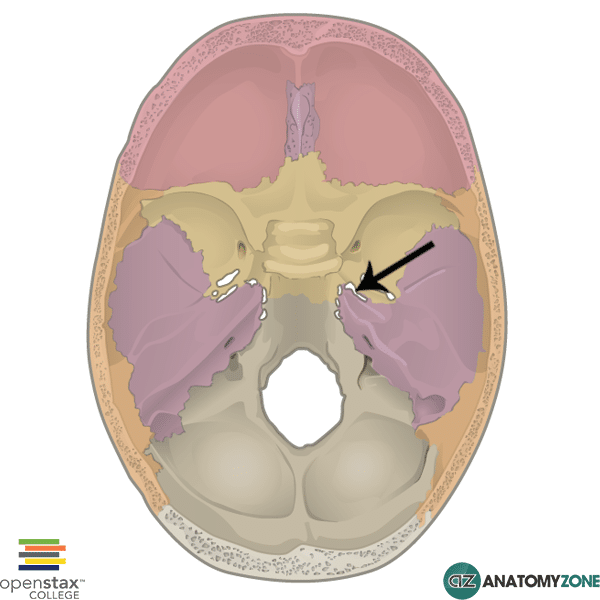 There are several holes in the floor of the cranial cavity which allow structures to enter and exit the skull, known as foramen. Foramen (foramina is plural), are holes in the human body which allow other structures to pass through. In the case of the skull, foramina permit the passage of arteries, veins and nerves. The foramen lacerum lies beneath the carotid canal and in adult life is closed off by cartilage. 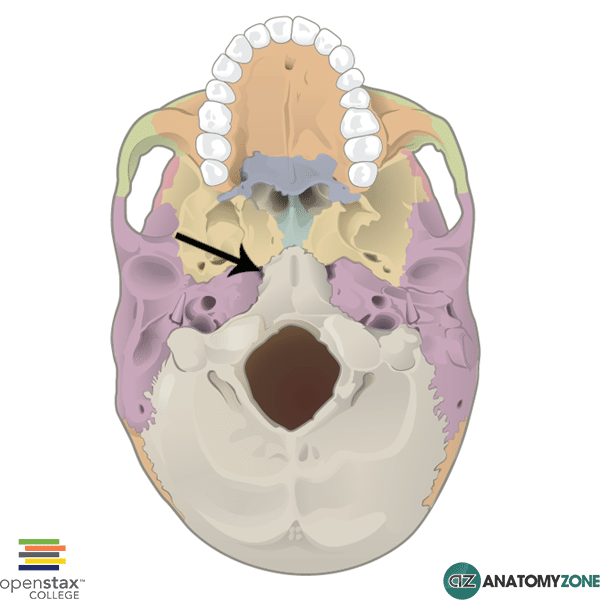 Learn more about the anatomy of the formina of the skull in this tutorial.